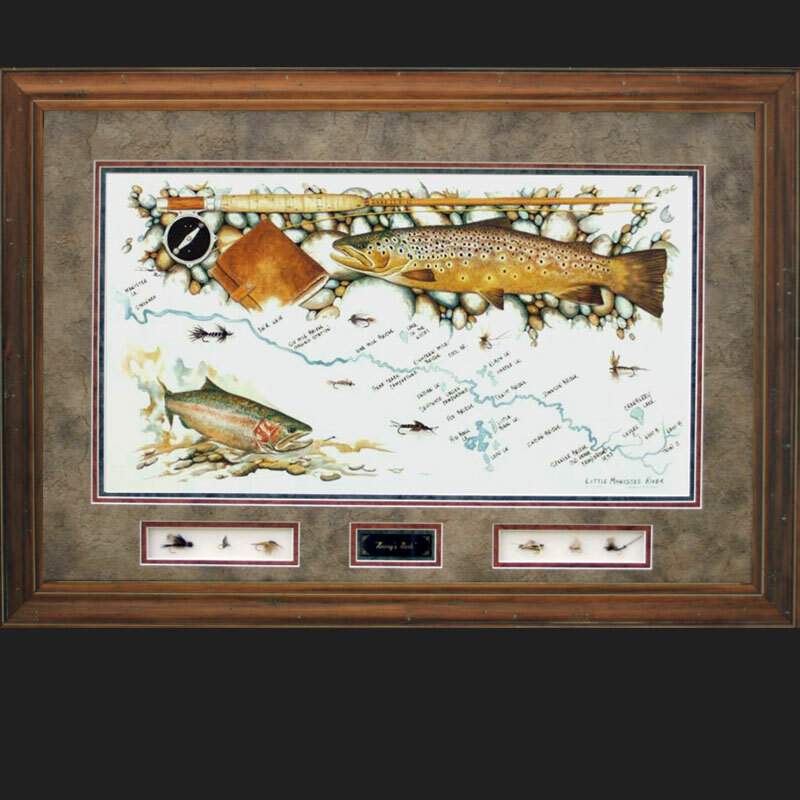 Au Sable River – This canvas print is limited to 100 s/n prints with 15 Artist Proofs. 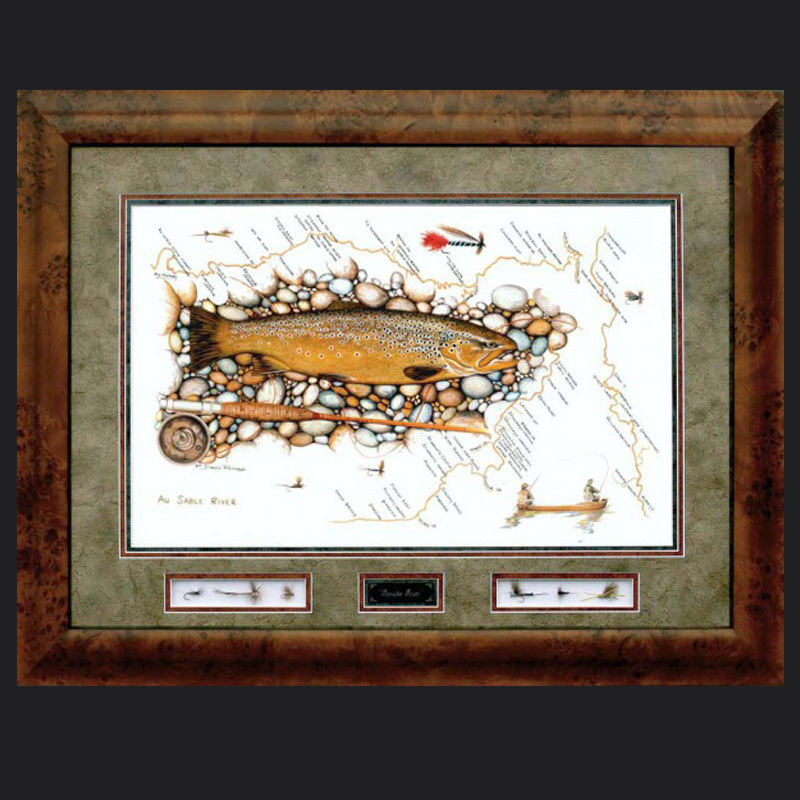 This can be ordered with a burl frame with a black liner, no flies, matting, or glass. 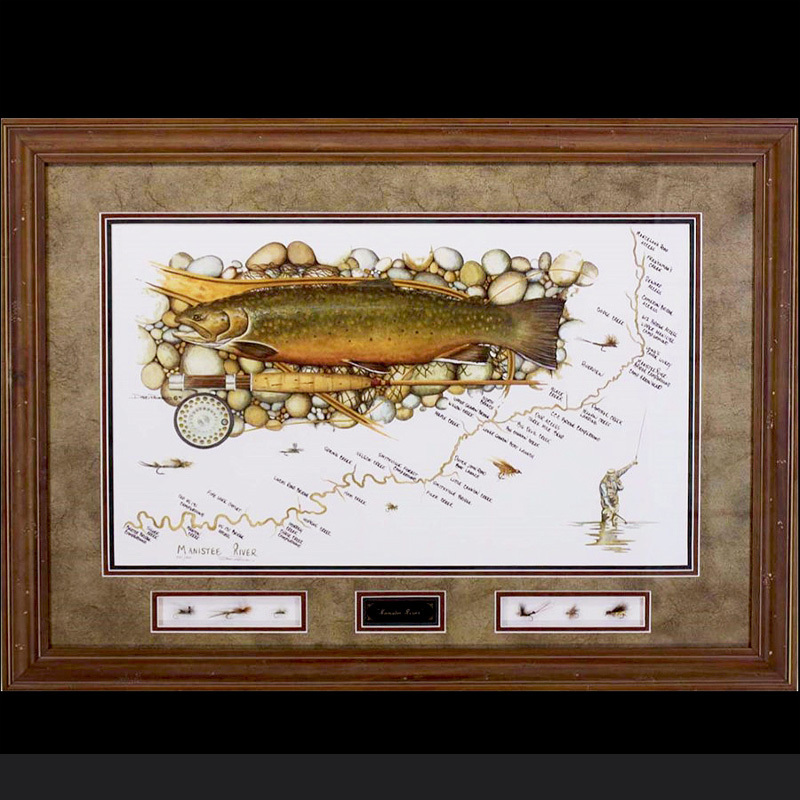 Au Sable River, each canvas print is s/n, dry mounted to a museum board, and coated with a clear shield made for canvas reproductions. 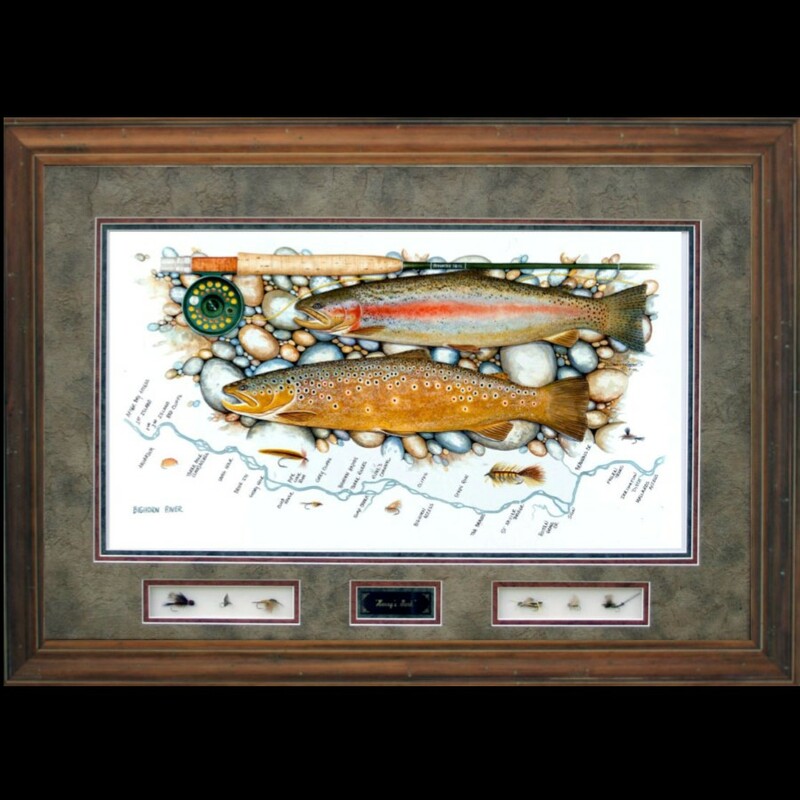 Framed with triple matting using conservation material and a UV glass. The flies are wired in the shadow boxes below the image. 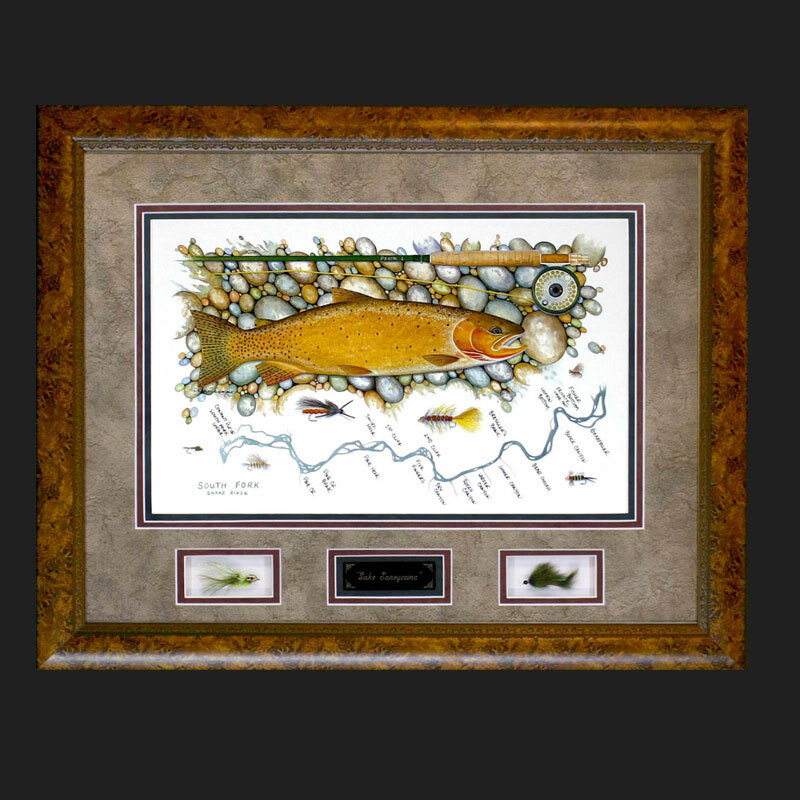 This Au Sable River map features a brown trout lying on river rock with a Paul H Young bamboo fly rod and an Au Sable river boat. The flies included originated in Michigan. The river sections shown are of the main stream ( Holy Waters ) , South Branch ( Mason Tract ) , and the North Branch.